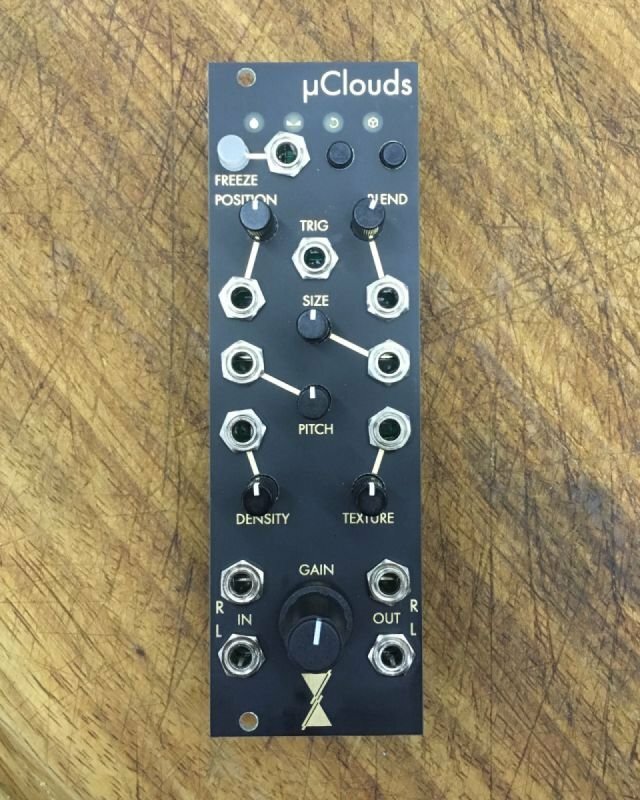 uClouds is a small format adaptation of the original Mutable Instruments eurorack module, it uses the same circuit design and firmware as the original but crammed into only 8HP! making it perfect for live rigs and small cases where functionality per HP is a premium. Clouds was designed by Olivier Gillet of Mutable Instruments and is a hardware implementation of a Granular Processor.
" Clouds is focused on the realtime granularization of incoming audio signals, and their transformation into amorphous textures. Modules can be shipped pre-flashed with any available alternate firmware on request.